Home / Articles tagged with "infant seats"
Articles for Tag: "infant seats"
Find out how to avoid these common errors you might be making. A new study reveals some disturbing facts. 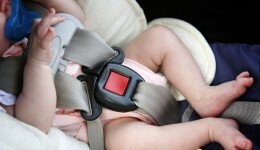 Are you endangering your child by not installing the seat correctly? Learn more.